Taken and cut out by Yasuko with help from me. It was a combined effort. The socks are Yasuko's the running shoes are mine. 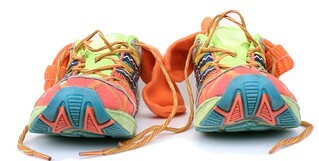 The shoe design belongs to Asics.